New Wall+ Versions Have Been Released! AGA CAD Ltd., Autodesk Authorized Developer and maker of the BIM Solutions and tools4revit© applications for Autodesk Revit software, is the Sponsor at the EUBIM Congress which takes place on 24-25 May in Valencia, Spain, at the Universitat Politècnica de València. The second meeting of BIM users in Spain is organized by this University with the collaboration of Revit User Group of Valencia. The event is designed for the BIM software users' community which wants to find out about the latest technology and learn from industry experts and instructors from around the world. We are happy that tools4revit team has been invited to join the event partners. FAQ About Revit App Sort Mark: How to Write Swing Direction for Windows? Easy-to-use Sort Mark extension for Autodesk® Revit® software is a powerful tool that allows you to renumber elements in different ways and write additional information to selected elements. Perhaps not everyone knows that Sort Mark writes swing direction not only for doors but for windows as well. Question that has reached us: Sort Mark has the “Write Swing Direction for Doors" tool. Could I use this for windows as well? New Smart Browser Pro Versions Have Been Released! Smart Browser Pro is a powerful BIM solution for Revit families search & management that includes powerful parameter (incl. shared) adding and editing. New versions of this BIM solution have been released; incorporating many improvements which allow you to simplify work with Revit. Now Smart Browser Pro will keep you updated! It will let you know if the library has been modified. All tool4revit Products Are Revit 2014 Compatible Now! This is to announce that all our products are now compatible with Autodesk® Revit® 2014. We have updated some our products, the others will work without a change. 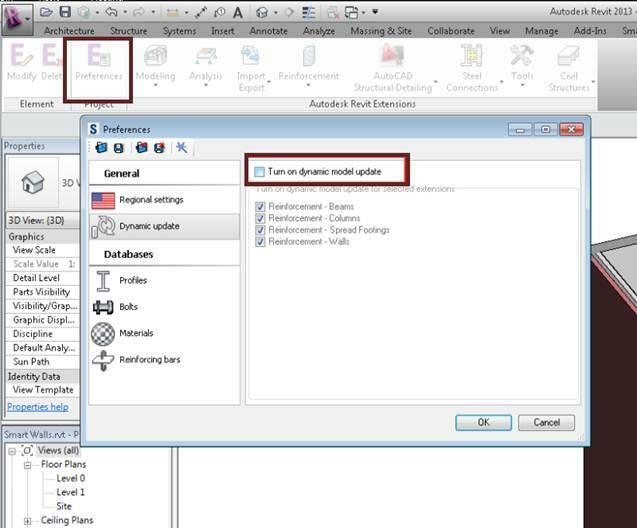 If your Revit crashes after using our products, please check if Autodesk Revit extensions are installed. If so, there is a known problem, when Dynamic model update is turned on. An empty box will help you avoid Revit crashes using our products. New Cut Opening Pro Versions Have Been Released! Cut Opening Pro is BIM Solution that automatically creates openings around the Ducts, Pipes, Cable Trays and Conduits in floors, walls, roofs, ceilings and other structural frames. It is a very helpful BIM tool for each Autodesk® Revit® user! Free Plug-in Smart Browser Is Now Compatible with Revit 2014! Smart Browser is a free Autodesk® Revit® extension for quickly locating Revit families in external libraries, located on user's computer or company server. Product languages: English, Russian, French, German, Norwegian, Polish, Lithuanian, Korean, Spanish, Portuguese, Finnish. Now Smart Browser is compatible with Revit® 2014! New Smart Sheets Versions Have Been Released! Smart Sheets is an extension for Autodesk® Revit® that provides a set of tools for sheet management. Now Smart Sheets is compatible with Revit® 2014!